Tomorrow marks the vernal equinox, officially the beginning of spring in the UK, and we at Clare Florist couldn't be happier. It's been a long, glum winter but the sun is out today, the weather feels milder already and everything is looking promising! To share some of our good mood we thought we'd hold a flash sale on two of our most popular Springtime Flower Bouquets. To start with, we've slashed the price of our famous Amethyst bouquet to just £24.99, that's a saving of £8! This bargain price tag even includes free standard next day delivery. 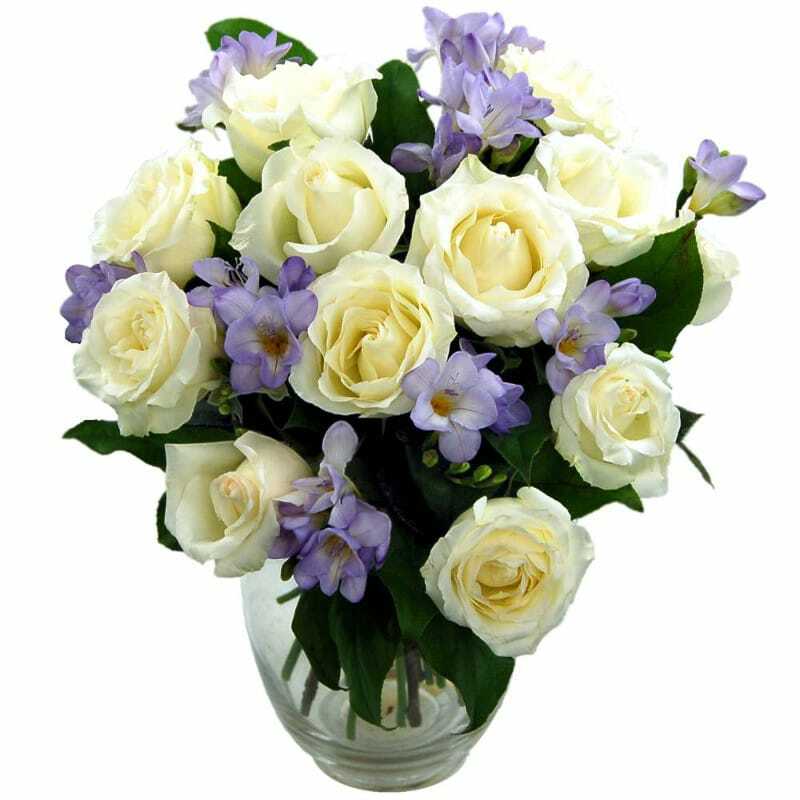 The Amethyst bouquet is a pleasure to behold, packed full of white roses and purple freesia. Colourful and aromatic, this attractive flower bouquet is a true feast for the senses. If that wasn't enough, we've only gone and taken 30% off our Rainbow Roses as well! Reduced from £39.99 down to only £27.99, a generous saving of £12 is available online now. 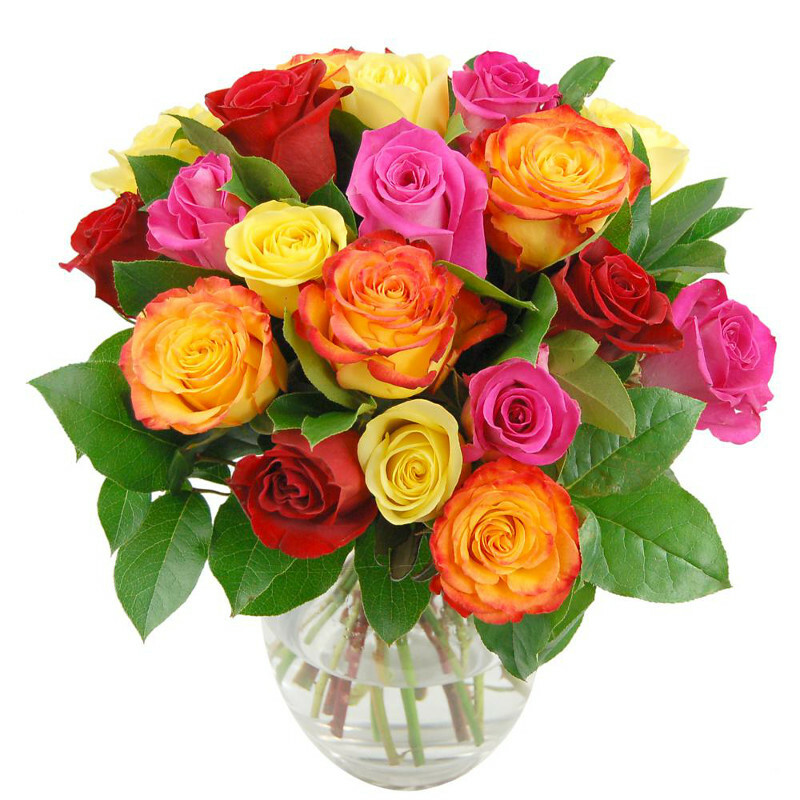 Our famous Rainbow Roses contain a mixture of red, yellow and pink flowers artfully arranged amidst green foliage. Perfect for birthdays, anniversaries or any other special occasion, this bountiful and eye-catching bouquet is sure to impress. Both of these fantastic offers are available for a limited time only whilst stocks last, so be sure to move quick to avoid disappointment. Free standard next day delivery is included with both these offers, ensuring you get value for money as well as great quality when you order flowers with Clare Florist.